Ever travelled to Kalahari, Wisconsin? Wisconsin Dells is a heavily demanded holiday destination. Apart from the shows and various attractions in the region, there are a lot of affordable hotels and inns where you can put up. 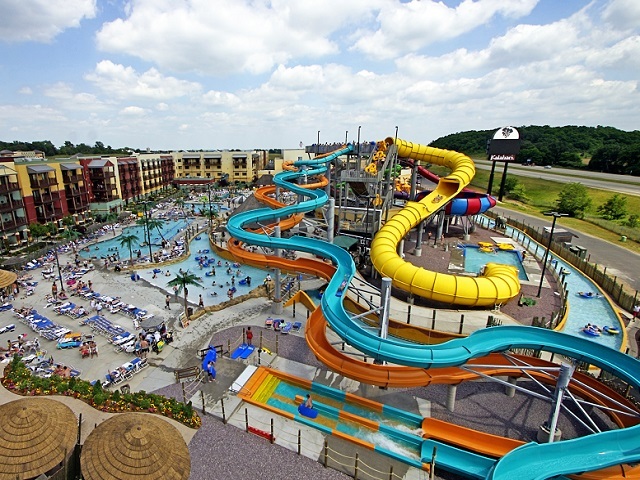 The Kalahari Hotel in Wisconsin Dells is an ideal spot for tourists who wish to experience the adventures of the African Safari without having to go to Africa. This star hotel features an extensive collection of tribal artifacts, jungle plants, African murals, and many other African attractions. The hotel is also known for its vast indoor water park which is ideal for enjoying with family and friends. The hotel lobby showcases its exquisite collection of African decors. The guests are welcomed by the hospitable staffs. As a tradition, each guest is provided with a colorful bracelet that acts as an entrance pass for the water parks. Kalahari is composed of more than 700 spacious guestrooms, also known as Hut Rooms. These rooms, furnished with a safari style theme, are also equipped with microwave oven, hairdryer, colored TV, mini refrigerator, iron, coffee maker and other electronic facilities. The hotel also has condo units and cottages which are available for sale or rent. There are a number of restaurants within the hotel offering different kinds of indigenous and worldly cuisines. The Kahunaville Restaurant is one of the well-known restaurants which serve special Las Vegas platters. Room catering can be arranged from the restaurants as well. The indoor water park of the hotel endorses fun rides exclusively for the hotel guests. It comes with a vast space of dressing rooms and concessions around the area.